Statistics vary, but it is believed that 10% of people in the UK are dyslexic, that's about six million. Anyone can have dyslexia, it is no respecter of race, class or gender yet despite that fact there has never been any information available on dyslexia from a cultural perspective in the UK. The couple believe it is important to make the condition recognisable because they say experiences vary depending on cultural background. Dyslexia From A Cultural Perspective by Asher & Martin Hoyles gives a well-rounded view of this misunderstood condition. Children from Gospel Oak primary school where the couple's daughter Rosa is a pupil drew humorous illustrations for the book, which took three years to write. 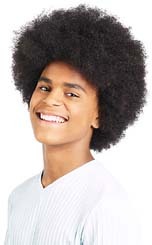 As well as general information about dyslexia there are details of famous dyslexics from the past such as Agatha Christie and Albert Einstein and more contemporary achievers such as Harry Belafonte, Whoopie Goldberg and Muhammad Ali. Personal interviews with Benjamin Zephaniah, Donald Schloss and others give the reader real insight into what it is like to live with this condition as a person of colour. Dyslexia From A Cultural Perspective, is an easy, informative read, which everyone will find useful regardless of cultural background. There may be 700 books on dyslexia in the British Library but very few of them have been written with the dyslexic in mind, this one was. 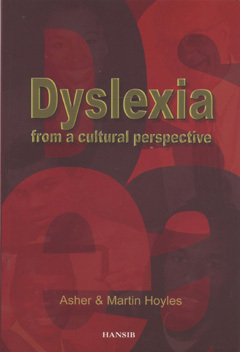 Dyslexia From A Cultural Perspective by Asher & Martin Hoyles is available to buy now.